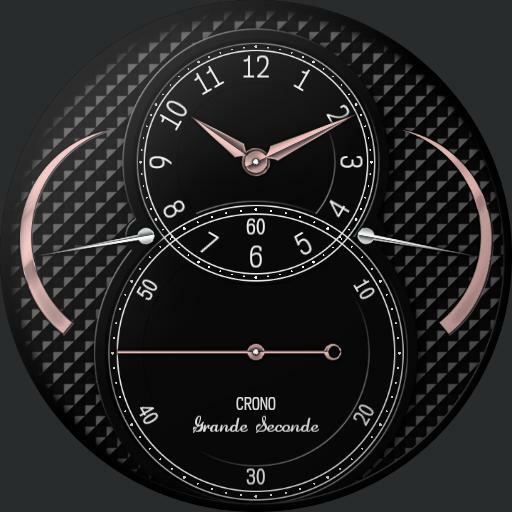 HANDS// Left arc = watch battery, right arc = phone vattery/chrono milliseconds. Standard hands have sweep movement while time, and jump movement while in chrono mode. TAP ZONES// 03 = Chrono STR/STP, 09 = Chrono RST.